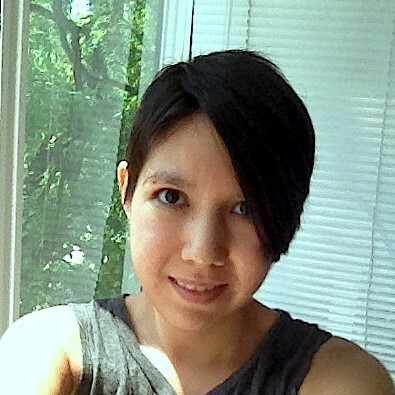 I recently started a new job as a Social Media Assistant for an English school in Vancouver. But that’s not what I wanted to tell you guys. 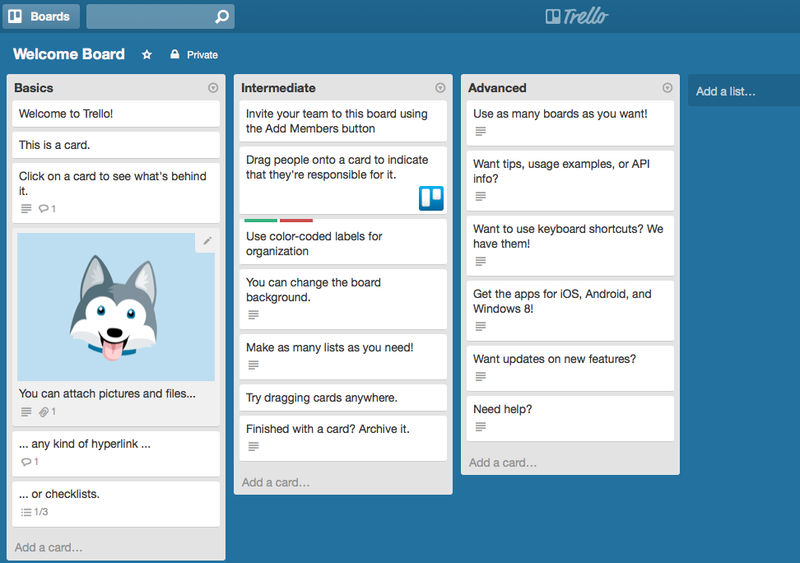 They use this online tool called Trello that does wonders for organization, and it’s been so easy to use that I’ve started using it at home as well as in the office. It’s great for organizing a new project. See this? This is a board. You can create as many boards as you like for different projects. Each board is sorted into lines, as you can see in this pic, they are Basics, Intermediate and Advanced. You can call them whatever you like, and you can also make however many you need. Each line has different cards for different tasks you need to do. 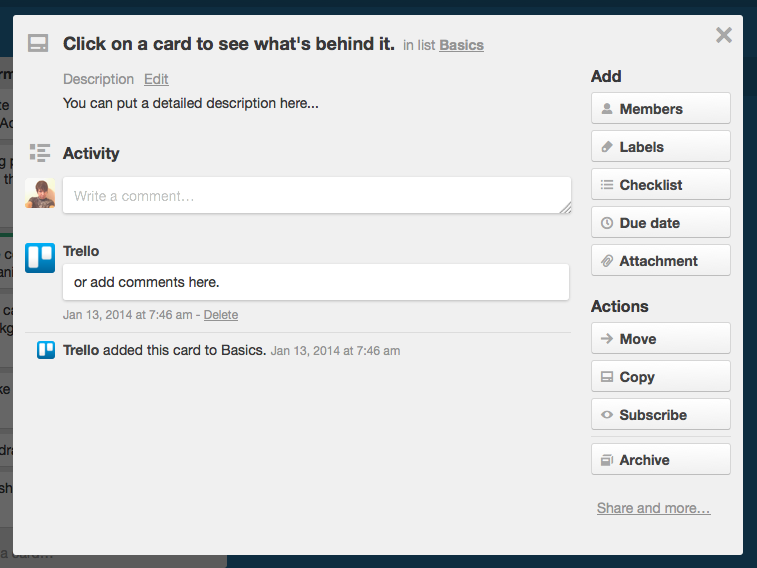 This is what a card looks like when you click on it. You can describe what the task is that you need done. 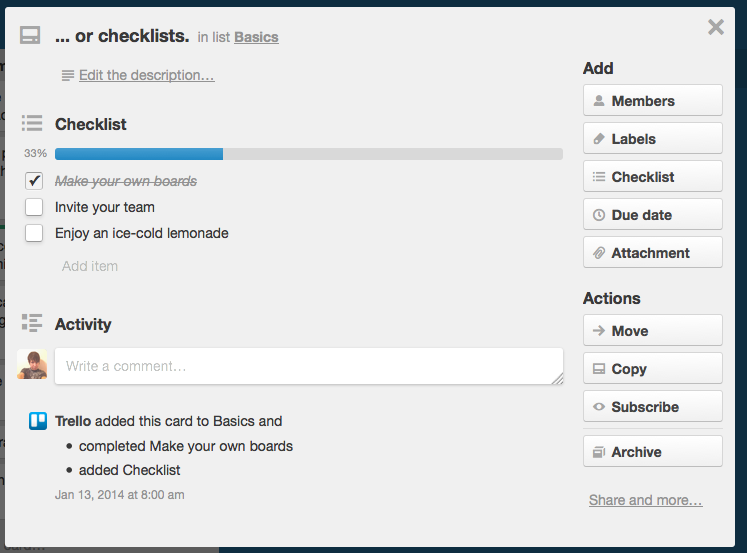 If you look along the side, you can also see what else you can add to the card to keep it organized, including adding a checklist, a due date and other members if they also use Trello. You can also put in info like pictures, word docs from Google drive and links. This is a checklist so you can keep track of what you need to do and what you’ve already done. See? I’m using it for my July Camp NaNoWriMo project. The best part about it is that it’s absolutely free for what I’ve just shown you. I love it, because I’m terribly disorganized, and I always leave stacks of notes, need to always re-look up research and can’t keep track of characters. This has helped considerably. I thought about buying Scrivener to help with it, but Scrivener is over $40 and this is free. 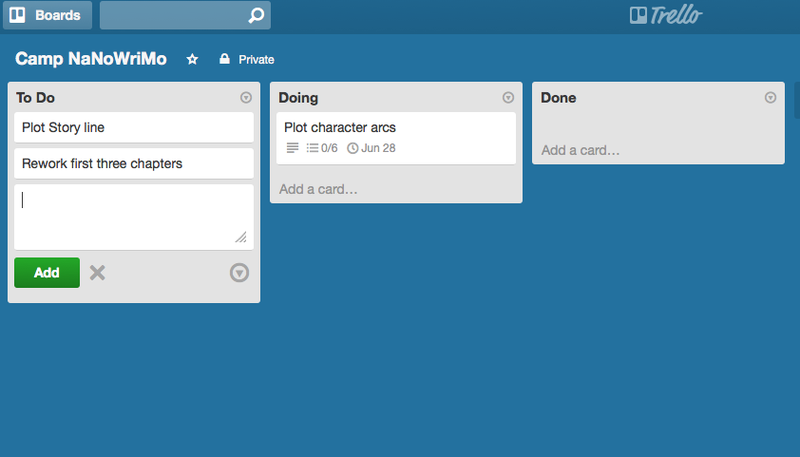 Happy writing (and organizing)! Here’s the link again in case you don’t want to bother scrolling. Author copies of the anthology my story Hakusan Angel is in arrived yesterday. Aren’t they pretty?